All aboard the ‘virtue signaling’ train! Another day, another candidate vying for votes through the increasingly common campaign tactic of conspicuous spouting of a moral stance aimed at harvesting votes. 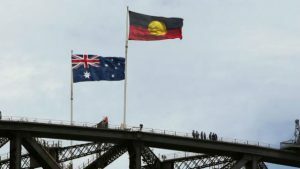 New South Wales Labor Opposition leader Luke Foley has announced that a key pledge if he wins the next election will be to fly an Aboriginal flag on the Sydney Harbour Bridge. This is intended to signal how much he cares for Indigenous Australians. 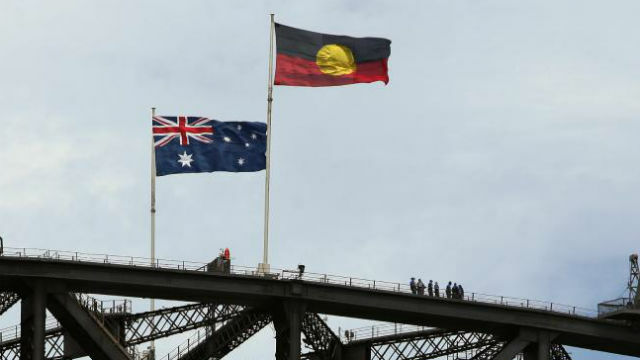 Frankly, Mr Foley could entirely wrap the bridge in the Aboriginal flag for the rest of its years standing over the water, and it still would not reduce one iota of the problems suffered by disadvantaged Indigenous people. I am not sure what is more embarrassing, assuming Australians are stupid and pushing for a shallow act of symbolism to win votes or actually voting for a candidate who does not address the real issues facing Aboriginal people — while pretending to care. Perhaps Mr Foley just wants to ape the example of his Greens counterparts, in trying to win easy votes with a recipe of virtue signaling and identity politics — a tactic increasingly used among the left. We saw this in the Victorian seat of Northcote when the Greens’ Richard di Natale ran the line ‘let’s make history by voting in our first ever Indigenous member of Victorian Parliament’. I’m all for having Indigenous politicians — elected on merit. But the Greens’ campaign meant they did not have to actually deliver policies that better the lives of Aboriginal Australians, let alone all Australians. Why is it that the left Labor and Greens want to keep dumbing down debate and making a mockery of our democracy by lying to the Australian people? Why is it not blatantly obvious to these members and candidates — like it is blatantly obvious to anyone with half a brain —that flying flags and changing dates is not addressing the real issues, but ignoring them. Aboriginal women are 35 times more likely to be hospitalized by family violence. 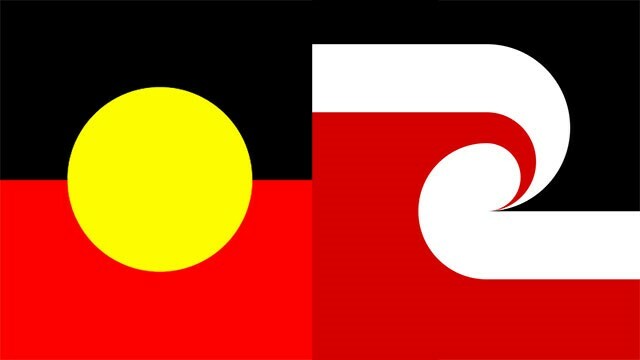 Aboriginal children are being neglected, assaulted and sexually abused at alarming rates. As well as having Australia’s highest rates of family violence, Aboriginal people are among the highest incarcerated people on the face of the earth. We have to address these issues. Seeing as 66% of crimes committed by Aboriginal men are crimes of violence against people in their own communities, would it not be beneficial for the families, the children and the need to lower rates of incarceration if we actually focused on this issue as a national priority — if not a national emergency? The very reason why Aboriginal people are incarcerated at such high rates is spelled out by academic and Director of the NSW Bureau of Crime Statistics, Don Weatherburn, in his book Arresting Incarceration. He points to the lack of education that stems from unstable and violent home lives for Aboriginal children. It is a fact that any human being who experiences violence in the home, and who then struggles at school as a result, is highly likely to later perpetrate crime that leads them to incarceration. 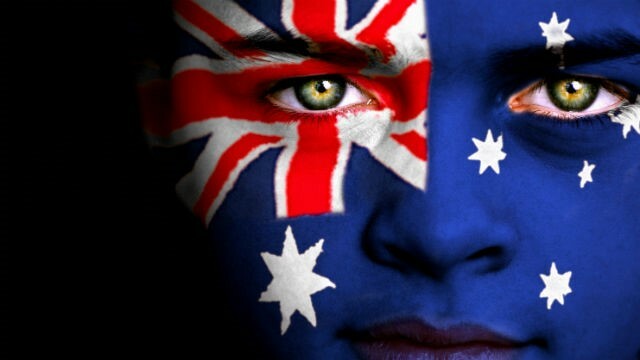 As Mr Weartherburn and other academics such as Marcia Langton have pointed out, it is a myth that high incarceration rates are a result of systemic racism from colonisation. The truth is that welfare, alcohol, and the lack of both education and employment opportunities instigated the high rates of incarceration. Forget the posturing over the flags. Protecting Aboriginal children against sexual and violent abuse should be a key pledge for every politician. Providing them with education, stability and the same opportunities as the children of virtue signalers should be a key pledge. Ensuring that Aboriginal women are safe in their homes, and able to feed their children should be a key pledge. You would think that these would be the highest of priorities for those throwing their hats in the ring to be our country’s leaders. Is this simply a case of out of distraction and sleight of hand? 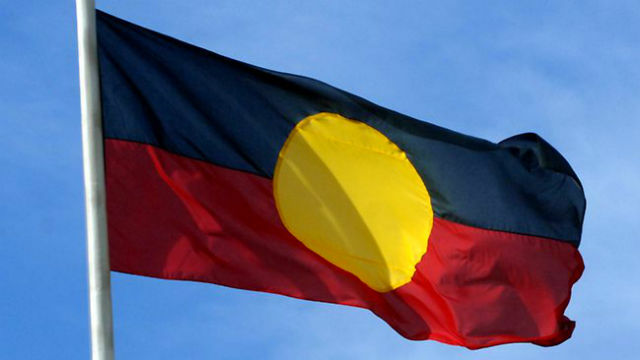 Put a flag up on an Australian icon so we can all look away from the crisis playing out in Aboriginal communities, and feel warm and virtuous while we ignore the dead Australian women and traumatised Australian children who live there. Ask those victims what they would prefer Mr Foley… A flag on the bridge or some genuine policy action. Jacinta Price is an Alice Springs Councillor and a research associate at the Centre for Independent Studies.